Happy New Year...first Glen Pine Live of the year...!! 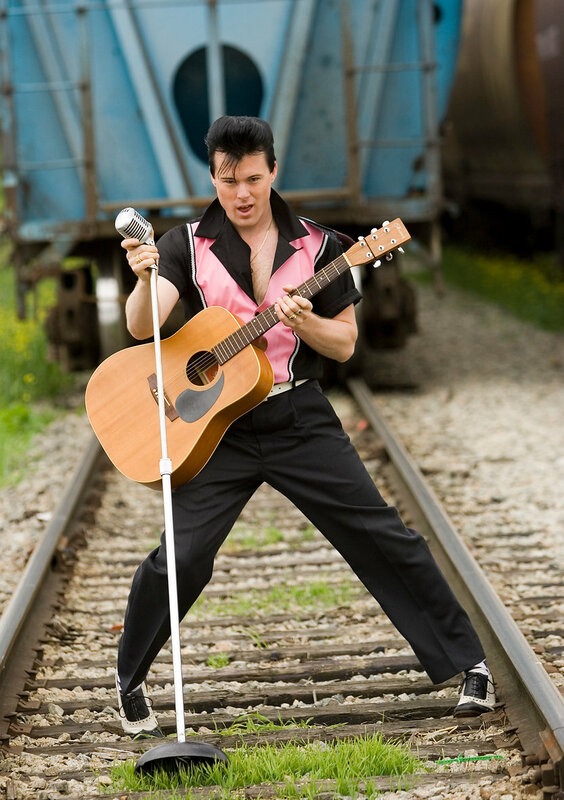 Steve Elliot will perform Elvis' well known ballads and rockabilly hits, but his electrifying show will also feature other classic crooners such as Roy Orbison and Johnny Cash. Doors open at 5:15 p.m.. Dinner at 6 p.m. Entertainment begins at 7:30 p.m. Tables assigned at registration. Gather a group of family or friends for a fun evening out with great food and a bar ...stay tuned for more details to come but make sure you save yourself a seat by booking early. Steve Elliott is a World Class tribute Singer and Entertainer from Vancouver BC. A full time Entertainer / Vocalist paying Tribute to the Centuries most Celebrated Entertainer... "Elvis Presley"! Born in Nanaimo BC, Steve started His Career in 2004 after Winning the Top Canadian Tribute Title at "Penticton's Annual Elvis Festival" as well as The" Elvis Mania Festival" in Cloverdale BC! Steve Has had the Privilege of performing at the Vancouver PNE in 2007 performing as the "Young" Elvis marking the 50th Year Anniversary when "Elvis" Himself performed in 1957. Hosting the Event was Legendary DJ "Red Robinson" Again, in 2010 The Original "Empire Stadium" was ressurected to Host the BC Lions ( Foot Ball ) Season and Steve was invited by Red to perform a Special Half Time Show for over 25,000 Fans, marking History at this one time Event! Steve has the Young Elvis down to a Tee, along with the Hip swivels and classic Duck walk that made Elvis so recognizable in the 50's! Crooning through the Ballads and Rockabilly Hits, Steve is ready to Shake things up for your event!